While the team behind the Gran Turismo series continues to work from a mystery playbook that doesn’t appear to emphasize timely releases and the rest of the competition is struggling to achieve parity, Turn 10 Studios’ Forza franchise has become the gold standard for console racing simulators. 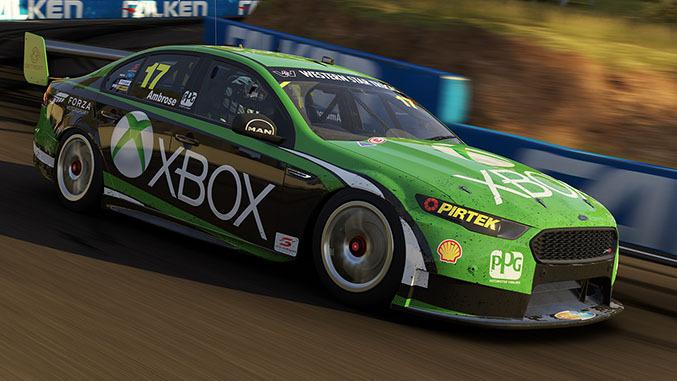 That sentiment was further bolstered by the release of Forza Motorsport 5 alongside Microsoft’s new Xbox One console in November of 2013, a title which set the bar for audio and visual fidelity, challenge and true-to-life physics higher than any console title before it. However, it was not without fault. Designing Forza for an all-new console meant that the team had to essentially toss all of the assets from the previous installments of the franchise and start from scratch, and with the game positioned as a flagship launch title for the console the deadline for release was non-negotiable. It’s safe to assume that’s at least partially to blame for FM5’s relative lack of content from both a car and track selection standpoint relative to its predecessors, and it was an issue we couldn’t help but take notice of in our review of the game. But now that Turn 10 Studios has two years between Forza releases (with Playground Games now releasing Forza Horizon titles on those off years), they’ve had a chance to remedy the situation, and the results of those efforts come to us as Forza Motorsport 6 – a game which doesn’t deviate from the format of its predecessor by any great measure, but instead addresses nearly all of its shortcomings to yield the installment that FM5 could have been if it’d been given enough time to fully bake. The most immediately obvious shortcomings of FM5 upon its release were the car count and the track selection, both of which were down substantially from previous Forza titles. 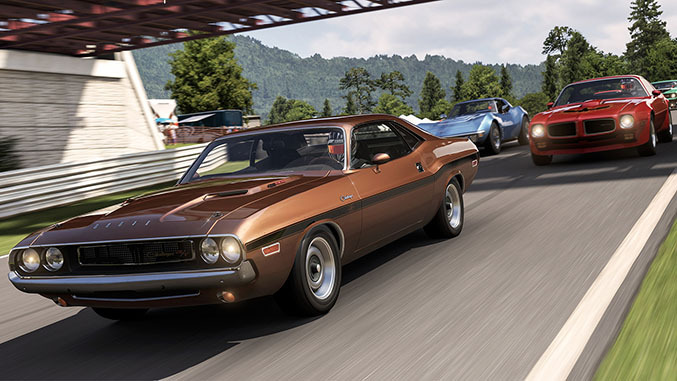 With Forza Motorsport 6, the game’s initial car count more than doubles from its predecessor to 460, and we’d expect that number will grow to more than 500 by the time all of the game’s inevitable downloadable content has been released. Similarly, FM5’s fourteen courses felt noticeably limited after any extended time spent with the game, and here FM6 addresses that problem as well, providing 26 real world locations this time around, including well-known favorites like Circuit de la Sarthe, Daytona Speedway and Silverstone. Additionally, the inclusion of Circuit of the Americas, Mazda Raceway Laguna Seca, Lime Rock Park, Road America, Road Atlanta, Sebring, Sonoma Raceway and Watkins Glen will give club racers a chance to lap those tracks at their leisure, with multiple configurations available. No word yet on whether or not more tracks will be added later as DLC. But FM6 packs more than just an expanded roster of vehicles and tracks. Wet conditions, which made their first appearance in Forza Horizon 2 make their debut in a Forza Motorsport title here, and their implementation for FM6 is far more sophisticated. While rain in FH2 simply meant that the entire course offered consistently less grip, when developing Forza Motorsport 6 the game’s designers studied real-world wet conditions at each of the game’s courses in order to determine where water pools up on each of the tracks, and in turn implemented those into the game. And much like real track driving, approaching those puddles in the wrong way can have serious consequences, as the car, speed, steering angle and other real-time factors play a part in how you’ll come out on the other end. Hydroplaning can and will occur, and while some of it requires a suspension of disbelief – we’re guessing an unavoidable body of water that extends across the track at a fast corner of Sebring would probably postpone a race – it adds a level of strategy and course memorization that makes the challenge feel fresh. Night driving also makes its debut in a Forza Motorsport game here as well. 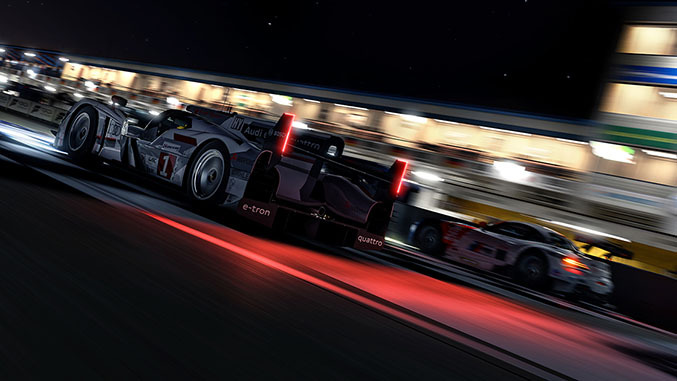 Aside from the enhanced visuals from the contrasting levels of darkness and illumination, night courses also feature noticeably reduced grip due to the lower surface temperatures of the asphalt, making these events feel more substantial than simply an alteration of the color palette. With a career mode now spans more than 70 hours of gameplay, it’s unlikely you’ll run out of events to compete in with FM6 anytime soon. But while previous installments in the Forza series have allowed the player to choose their own path more or less from the get-go – assuming they had the funds to purchase cars for the series they wanted to enter – Forza 6 takes a new approach by making the career mode more or less a linear experience. Turn 10 explains the reasoning behind this change is to provide the player with “an automotive journey across the game’s unrivaled diversity and tell the “Stories of Motorsport””, but the upshot here is that you’ll be following the career path of Turn 10’s design here. That’s probably a good thing though, because if your gaming habits are at all similar to your author’s, you probably tend to gravitate toward your favorite set of vehicles and stick close to them for the duration of your time with the game. This new format forces you to discover new things and learn how to master every different type of car offered in the game in order to complete it. 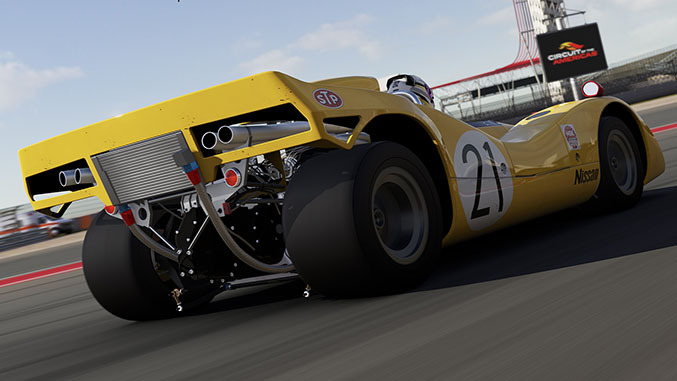 We praised the implementation of the “Drivatar” AI system when it debuted in FM5, and with Forza 6 those computer-controlled opponents impress even more. For those unfamiliar, the Drivatar system analyses each player’s driving style to create a doppelganger version of that player which runs in other gamers’ offline races. The result is that the AI cars behave much more like human beings. Not only do they make more convincing mistakes but some will also exhibit some level of racecraft, preventing passes and otherwise doing what they can to maintain or improve their position. The system seems to be refined even further from what it was in Forza Motorsport 5, and it’s a flat-out quantum leap beyond the AI used in other racing simulators right now. Online multiplayer also gets some new features. FM6 now boasts online “leagues” in which players are organized by skill level and temperament in races of up to 24 players at a time. This new approach should help players have a better time racing online by pairing them up with more evenly matched opponents. And for those just looking to watch the action unfold or perhaps learn from other racers, a new spectator mode allows them to watch the race in a live broadcast, which they can in turn stream to their friends as well. 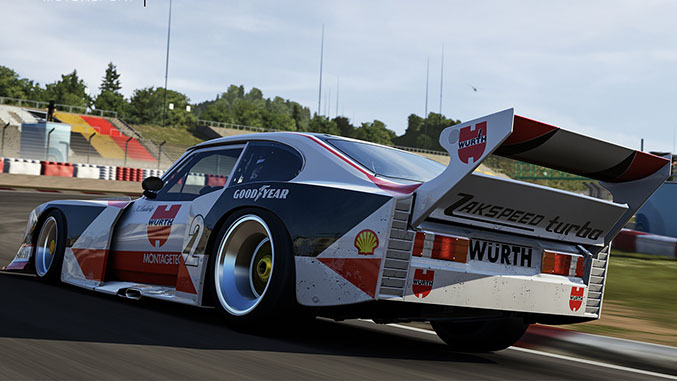 While Forza Motorsport 6 doesn’t exactly reinvent the genre, the game certainly has a lot going for it. It’s clear that the new title is an evolution of FM5 rather than a wholly new iteration, and many of the small annoyances from the previous titles still exist here – why can’t we swap parts from race menus? But despite its shortcomings there was no shortage of things to like about Forza Motorsport 5, and the same holds true for Forza Motorsport 6. FM6 builds upon those strengths of the previous title, adds all of the content we wanted Forza 5 to have while refining the game mechanics even further, and adds a few new features along the way. If you’re a diehard racing fan and loved FM5, adding Forza 6 to your collection is basically a no-brainer. While it’s unlikely to set your hair on fire as far as changes go, there’s so much to enjoy here and it’s so well executed that the $60 investment will likely seem like a bargain once you fire this new installment up.